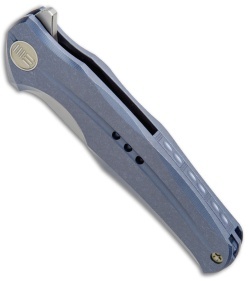 This 601M model comes with a blue finished titanium handle and a bead blasted blade. WE Knife Co. has created a titanium folding knife that easily rivals the top U.S. brands. 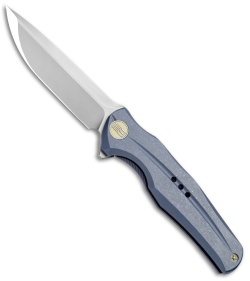 The 601 folder offers expertly contoured titanium handles and a uniquely ground CPM-S35VN steel blade. It has a modified drop point style with a tanto inspired blade point. The 601 is equipped with a blade flipper and ceramic ball bearings for unbelievably fast and smooth blade deployment. 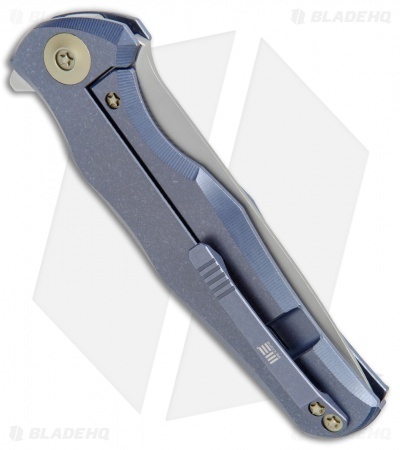 Includes a titanium pocket clip, backspacer, and adjustment tool.